When Karen Taboada graduated Buffalo Grove High School in 2010, she knew she was ready to take on college. Four years earlier, that wasn’t the case. Taboada began her high school career in remedial classes. This, coupled with a lack of confidence, made her think that a four-year higher education institution was out of reach. But a team of supportive educators at Buffalo Grove, including her school counselor Polly Knudsen, changed her attitude. Her efforts did not go unnoticed. A turning point in Taboada’s life came as Buffalo Grove teachers recommended she move to a higher level literature class. Beginning a new course in the middle of the year presented its own set of challenges, but the change helped her realize she had the tools and drive needed to achieve her goal of going to college. Taboada graduated Buffalo Grove with honors and went on to attend Lake Forest College as a communication major. “My counselor encouraged me to visit the school,” Taboada said. There she served as a tour guide and worked closely with the admissions office. After graduation, Taboada worked for a communications company but felt she wanted more. 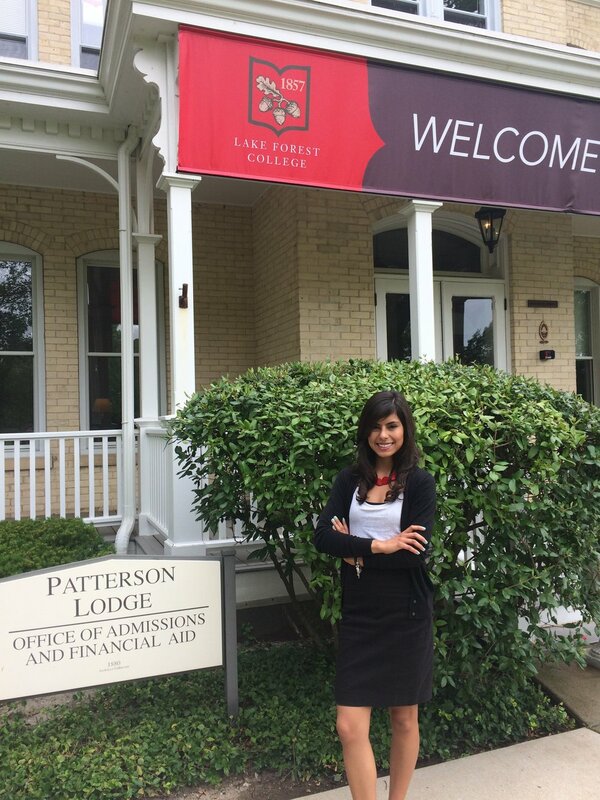 So she returned to Lake Forest, this time as an admissions counselor. She now serves as a representative of the college to students and families around the country and assists them through the application process. When speaking with potential students, Taboada’s advice to them reflects her own academic experiences. “Students should do their best to challenge themselves out of their comfort zone and not overlook opportunities as they present themselves,” Taboada said. Julia Dacy is an undergraduate at the University of Denver double majoring in Strategic Communication and Socio-Legal Studies. She interned in the District's Department of Community Engagement and Outreach during the summer of 2017.